America has an education problem. Seriously. I don't mean to bring you down but we really do. It's not just that our current public education system is in trouble, our private schools have far too much ability to structure the curriculum to their liking and so we have a serious math and science gap when you compare us to the rest of the developed world. We rank just about with Turkey and Mexico when it comes to college completion rates. In a 2003 study US 15 year olds ranked 24th out of 38 developed countries for mathematics, 19th in science and 26th for problem solving. That's a problem that needs solved. 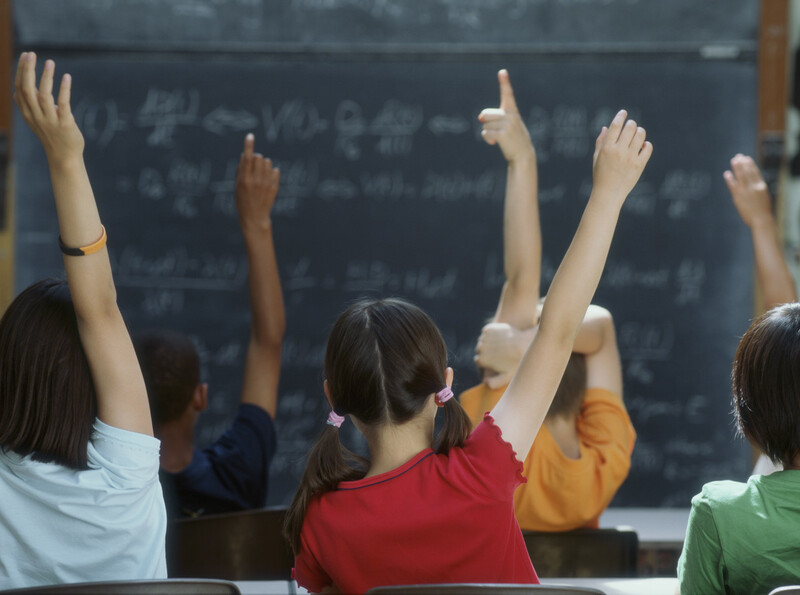 Seattle's Ackerley Foundation works with the University of Washington's College of Education to provide a conduit to get UW Masters of Education students into some of Seattle's most at risk schools. This program allows these graduate students the opportunity to work with an experienced teacher in a hands on environment and it gives some of the city's students who need it most, extra, in many cases individual attention from a very eager educator. The program allows both UW students and local educators to partner in delivering energized attention to local K-12 students that hopefully imparts a higher value on education through that experience. 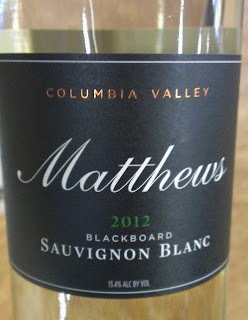 This week's Friday Find is a nice Sauvignon Blanc from Matthews Winery that contributes 10% of it's proceeds to the Ackerley Foundation's UW partnership. 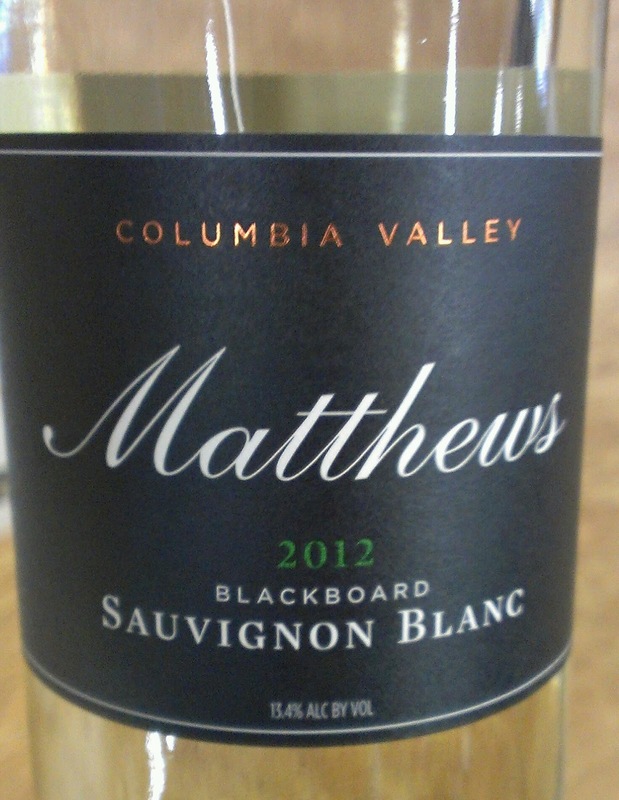 The 2012 Blackboard Sauv Blanc is a fine product of what was a somewhat difficult white wine vintage for Washington state. Point of fact it was simply too warm a vintage, the alcohol % on this wine though managed to stay under 14%, as it should be and so as a result you still get a good sense of crisp fruit and acidity that can make Sauvignon Blanc so enjoyable. (There are some Washington white wines from 2012 in the 15% neighborhood sadly.) Aromatics of green apple and and honeydew rind and the palate comes through with more melon, wet stone and grapefruit. For your $15 you can do a bit of good while enjoying a white wine that goes well with summer.